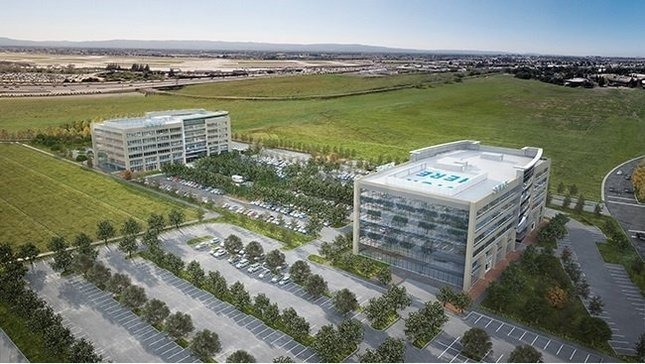 Apple is working with the city of San Jose on a development agreement for a campus on the north side of town, which if authorized could be larger than Cupertino's Campus 2 at 4.15 million square feet, a report said on Wednesday. A draft version of the agreement isn't yet finished, but should be presented to the city's Planning Commission sometime this month, said the Silicon Valley Business Journal. Under current terms development rights would be locked in for 15 years, and the campus would spread within 86 acres next to Orchard Parkway, Component Drive, and Guadalupe Parkway. Apple has yet to submit an official development proposal, but if it exploits the full 4.15 million square feet, the campus would dwarf even its future "spaceship" headquarters in Cupertino. Last month Apple signed a lease on a part of the acreage, owned by realty firm Steelwave. The company also owns neighboring real estate sold by Ellis Partners and Lowe Enterprises, the latter planned to offer at least 1.8 million square feet. Apple's plans for the new office space are still unknown. One possibility is that Apple will need it to support its automotive ambitions, which include an electric car and possibly self-driving technology. The company is believed to be on a major hiring spree for the effort, which could see the first car roll off assembly lines in 2019 or 2020.